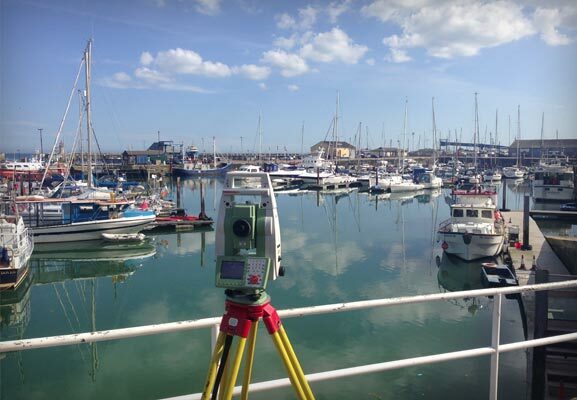 JC White Geomatics are surveyors in Kent with an unrivalled reputation amongst developers, architects, engineers and both central and local government departments. A reputation built on over 30 years’ experience providing cost-effective, efficient and accurate solutions to any land survey project. We use our exhaustive quality procedures to ensure client requirements are fulfilled and that any survey plans produced are to a high cartographic standard. With our extensive professional knowledge we can advise and perform all land surveys related to a project. John started the business in 1981 and has grown it from inception to its current size - with the assistance of his team. 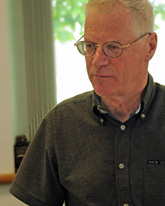 He is a highly professional Chartered Land Surveyor with 40 years’ experience both within the UK and Overseas. He is in overall charge of strategy but still enjoys going out on site. John firmly believes that keeping the business at the forefront of technology with a diverse client list is key to the success of the business. 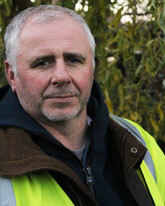 Mike is at the very hub of the business and ensures smooth running of the day to day business supervising 20 staff. He joined in 1994 and has over 25 years’ experience as a qualified Land Surveyor, initially as a Field Surveyor working both in the UK and overseas in Peru and Pakistan.Mike liaises with clients to determine scope of works required and advice on specification requirements. He is also our QA guru and is involved directly with company strategy and planning. 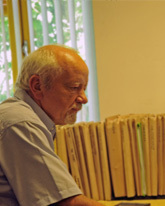 Ali has been with the company since 1987 and has grown with it with over 29 years’ experience of practical surveying within the UK. Ali is always championing new technology and was one of the first surveyors to embrace 3d laser scanning. 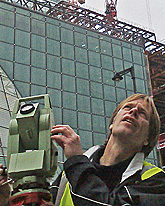 He is now a specialist in this field and has delivered talks to various professional bodies and companies on the use of Laser Scanning in the surveying and building industry. Clinton is our boundary specialist and joined us in 2012 providing the company with an expert in boundary demarcation and disputes. Clinton has over 34 years’ experience of land and hydrographic surveying in the UK, UAE, Libya and the North Sea and has been specialising in boundary issues for over 20 years. 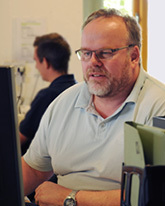 Andy first joined J C White Geomatics in 1998 for 9 years, during which time he trained at Lambeth College and we were very pleased when he rejoined us in 2011. 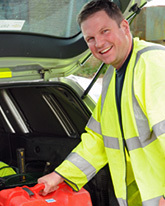 He is now our Engineering Survey and Setting Out specialist and also works on monitoring projects. 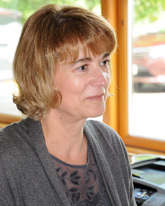 Jan joined the company in 2008 with a background of sales and finance and has become an integral member of our team. She is the first point of contact and will deal promptly and efficiently with any enquiry. Jim is the central port of call for topographic surveys, engineering surveys (Including rail works), monitoring and setting out. He will help you determine the scope of works and give advice on specification so your survey will meet your requirements. With over 25 years of experience in all types of surveying projects overseas and in the UK, Jim has worked on national control schemes, major civil engineering projects and innumerable individual surveys. Jim has worked previously with JC White as a Senior and Principal Surveyor, but after stints working in surveying and training across London and the South East, he is now returning as the survey manager. As well as supporting the office and survey teams in their commitment to achieving the highest standards, he is looking forward to some site work too.